Political correctness is the scourge of the post-modern western world. Effectively, something is politically incorrect if it is a truth the left finds too painful to acknowledge. Political correctness is a fantasy world of beliefs that help the new left get what it wants. The Wentworth Report sticks up for reality over political correctness. The media lies to us every single day. Not out of incompetence, but out of ideology and the financial rewards it brings their politically-correct allies. The media deliberately withhold facts from us. They systematically deceive us. They placate us and confuse us with spin. They represent their views as centrist and mainstream, even when though they are divorced from both reality and public opinion. The media rarely lie outright, but rather they lie by omission. They routinely omit any aspect of reality that would puncture the make-believe world of PC fantasies they they would have us believe in. They have effectively duped the western population, or at least its ruling class, by refusing to report inconvenient facts and events. Several hundred years ago in Europe, the Church had a monopoly on distributing high quality information — from the pulpit. Then along came the printing press, which broke the monopoly. The Reformation and the Enlightenment followed, which reduced the power of the Church. The last few decades have seen the media with a monopoly on distributing information. But now the Internet has come along. Is history repeating? The media have become political campaigners, and hardly bother to disguise it any more. A tiny and ever more ferocious “leftist” establishment is ramming its views down everybody’s throats, in disregard of the facts or even what used to be considered “left.” The new left set down the acceptable limits of speech and thought, then rigorously police them through their effective ownership of the mass media. The media trains politicians to tell trendy PC lies, by simply ignoring politicians unless they say something that supports the PC narrative. Except, of course, that a politician who says something non-PC is sometimes made to look foolish and punished with bad publicity. Politicians are desperate for good media coverage, and even the majority of so-called conservatives politicians have been trained to appear PC. The media never gives anyone arguing against PC a fair hearing, always ignoring them or portraying them in the worst possible light. The opinion-forming organs of our society — the bureaucracy, academia, and the media — are now captured by the global elite and their gullible PC minions. They are killing our successful society. Rival civilizations can hardly believe their luck. In Soviet Europe people who believed the state broadcasters were considered a special kind of stupid. There was a huge hunger for truth, but most people checked out mentally because they were offered only lies. The same is increasingly happening today, in the West. It is said that the photocopier eventually brought down the Soviets — today we have the Internet. Rather than checking out of politics and the media, we at the Wentworth Report are fighting back in our own little way. We find stories from around the ‘Net that the media ignores or downplays, so that you can keep a strong grip on reality. Under each post on the home page there is a date and author. Clicking on the date takes you to the post on a page by itself, with share buttons etc. The author is usually “David Evans” because I put the post up, but often the story and maybe some of the commentary were sent in by a reader. There might not always be a hat-tip, because this blog is not work-safe in PC circles — many contributors prefer anonymity. There is usually no comment section, because it is potentially unsafe in today’s PC world. Email us with links to stories that you think need wider circulation, perhaps with a few short comments. Say whether you want a hat-tip, and if so to what name. 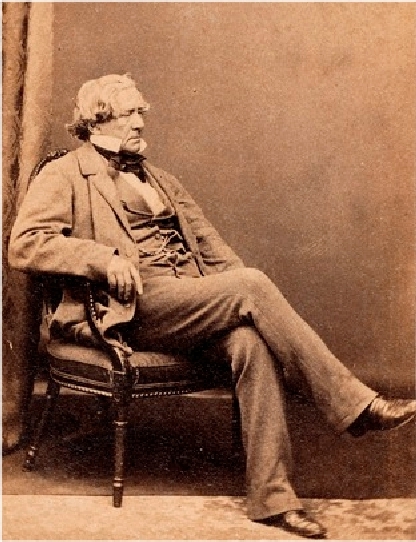 William Charles Wentworth (1790 – 1872) was the fledgling Australian colony’s leading political figure of the 1820s and ’30s. He successfully campaigned for civil rights for Australian-born colonists — including freedom of the press, representative government, and the right to trial by jury. He founded the colony’s first privately owned paper, The Australian (no connection with the current newspaper of that name). He was also an explorer, part of the first expedition to successfully cross the Blue Mountains to the west of Sydney. William Charles “Bill” Wentworth (1907 – 2003), his great-grandson, was a member of Federal Parliament for 28 years. He campaigned strongly against communism, and for the 1967 referendum on aboriginal Australians. He was Australia’s first Minister of Aboriginal Affairs.